The unupdatable paperweights known as the iPhone 6S and iPhone 6S Plus with 16GB are said to be the last of their kind – finally and good riddance. 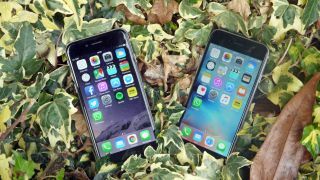 Apple is ditching the entry-level 16GB internal storage size of the iPhone 7 and iPhone 7 Plus, reports the Wall Street Journal citing a person familiar with Apple's plans. To no one's surprise, the company is likely to reintroduce 32GB and make that the base size for the new iPhone models in September. Apple isn't moving everyone up to 64GB that easily. Welcome to 2014 Apple fans, back when flagship Android phones, like the Nexus 6 and Galaxy Note 4, began to offer 32GB as the standard size (on top of microSD card support in some cases). Apple has been clinging to that 16GB iPhone as its entry-level size since the iPhone 4S launch in 2011, and has been milking an extra $100 (£80, AU$150) out of us every year. 16GB isn't feasible in 2016 (and hasn't been for two years). Updating iOS 10 in a few weeks is just going to leave more people with the smallest and most affordable iPhone configurations stranded once again. Apple dropped the 32GB size in 2014 and 2015 iPhones, and while it kept the smallest size at 16GB, it "graciously" made 64GB the next size up for the 32GB price. That's all well and good, but there's a catch. I could've saved money had Apple properly axed the 16GB iPhone and kept a 32GB version back then. Instead I opted for new iPhones in 64GB two years in a row. So roomy. 4K video? Burst photos? All fine. Over the course of 24 months, I unconsciously filled up my storage space well beyond 32GB. Now I'm stuck with 40GB of files. Prune or pony up the cash for 64GB again? I know I'm not the only one with this dilemma. Today's iPhone 7 rumors is a good news/meaningless situation for many owners who took the same path as me.